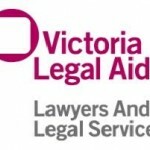 VICTORIA Legal Aid gave private lawyers and staff a pay rise of more than $7 million a year before announcing drastic changes to its eligibility guidelines to quell its funding crisis. The organisation recorded a $3.1 million budget deficit last financial year and says it faces an even greater blowout this year due to an ”unprecedented demand” for its services in line with an increased number of police and child protection orders under the Baillieu government’s family violence prevention policies. It says the rise in demand has not been matched by a commensurate boost to funding. Legal Aid’s latest annual report largely attributed last year’s deficit to its 2.5 per cent fee boost for summary crime – in line with the state government’s inflation rate – and 10 per cent boost to all private practitioner fees, which cost $7.2 million. Private lawyers currently manage about three-quarters of Legal Aid’s case load. Legal Aid also increased lawyers’ fees for summary crime contested hearings in the Magistrates’ Court and Children’s Court ”in recognition of the skills and effort associated with a contest requiring evidence handling and submission skills”. The president of the Law Institute of Victoria, Michael Holcroft, said the pay rise made up for six years in lost inflation, with private lawyers paid a ”substantially reduced rate” for legal aid matters than for private cases. He said Legal Aid had not informed private lawyers of its financial woes when the fees were increased. The organisation also gave its staff a 6 per cent pay rise last year under an agreement negotiated in 2009, which led to employee benefits rising by $4.8 million. It hired 14 new staff last year and spent $164,000 more on temporary staff. Last week it said about 4 per cent of staff – about 25 people – would lose their jobs next year. Legal Aid also spent $166,000 more on sundry expenses. The spokesman declined to comment on what this entailed but said $400,000 had been saved ”by putting a very tight rein on our spending in areas like printing”. Legal Aid last week announced the most wide-ranging changes to eligibility guidelines in its history – including scrapping funding for parents in family law matters beyond trial preparation. The changes, which will shift more work to its duty lawyers, were criticised by private lawyers and the police union, who say they will increase the number of people representing themselves and clog up the court system. Legal Aid also said it would save money on a central dictation system and by replacing prison visits with telephone calls. A training program for new lawyers would be scaled back.